A video of a father taking his daughter on a date is going viral, and has had nearly 8 million hits, Good Morning America said. While it sounds innocent enough, many are criticizing the video and the man behind it, Aaron Dickson. Some find it endearing, while others say it’s inappropriate. Good Morning America: Controversial Dad? Parenting expert Dr. Robyn Silverman said that she thinks the video could be controversial only because some people assign romance to the term “date.” However, Dr. Robyn Silverman said that the video is really about a father and daughter spending quality time together. Aaron Dickson said that he hopes the video serves as a reminder when his daughters get older of how they should be treated on a date. 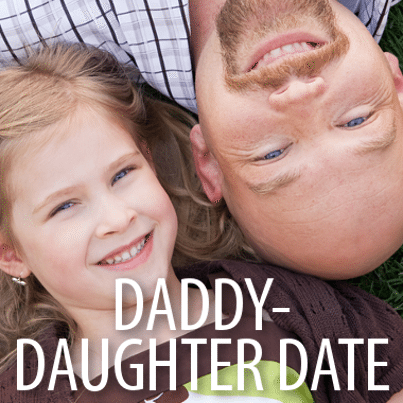 Judging by the way his daughter reacted to their date, it looks like future suitors have some big shoes to fill. ABC’s Linsey Davis reported that Aaron Dickson even wrote the lyrics to the song playing in the background of the video, and that he regularly takes each of his daughters on these special dates for some one-on-one time. The cast of Good Morning America found it ridiculous that people are choosing to say negative things about the video, and that the father is obviously doing something very sweet for his girls. I agree; I don’t really see how the video is considered controversial or creepy at all. I hope more fathers follow Aaron Dickson’s example, and show their daughters how they should be treated.